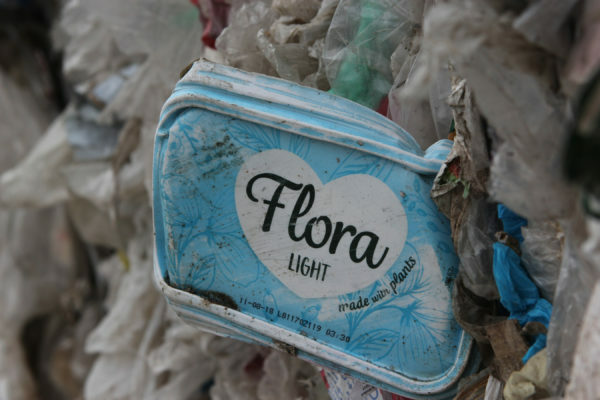 An Unearthed investigation has found packaging from everyday British products – exported as recycling – discarded at multiple illegal dump sites in Malaysia. The news comes as the UK’s Environment Agency (EA) embarks on a major investigation into claims of fraud in the UK’s recycling exports system, including allegations that exported UK plastic waste is not being recycled. On Monday Unearthed handed over details of our investigation – which exposed the flaws in the UK’s recycling exports system – to the EA. 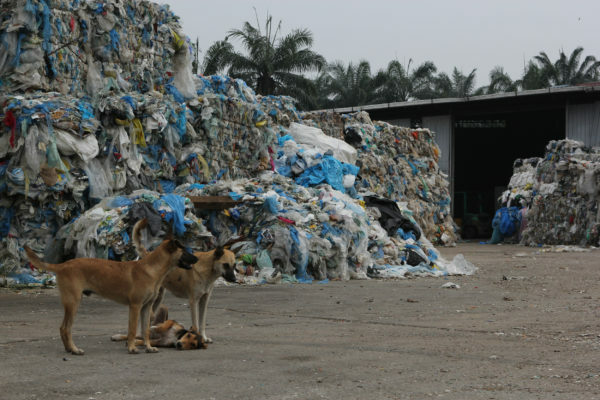 UK exports of plastic scrap for recycling to Malaysia shot up at the start of this year, after China – previously the world’s largest importer of the materials – closed its doors to such imports. But the sudden deluge of plastics from the UK and other western countries has left Malaysia’s recycling system struggling to cope. 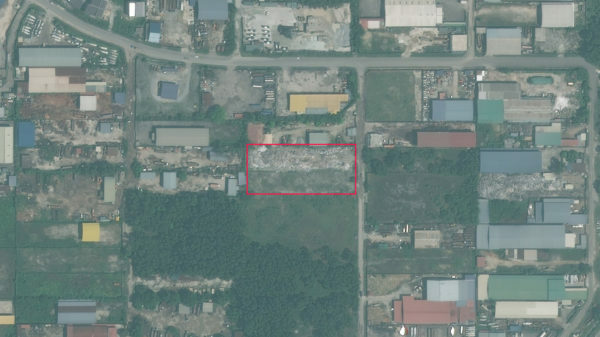 Investigating conditions in the Malaysian waste industry earlier this month, Unearthed found brands familiar to UK supermarket shelves strewn across a vast pile of rubbish standing 10 feet tall on a site measuring nearly three acres. The dump, surrounded by a palm oil plantation, was outside the town of Jenjarom, about an hour’s drive from the Malaysian capital of Kuala Lumpur. Packaging for Fairy dishwasher tablets, Yeo Valley yoghurt and Tesco Finest crisps was scattered across the pile, alongside plastics from Spain, France, Germany, Ireland, Japan and Australia. Use-by dates indicated the packaging was left there in recent months. In an adjoining recycling facility that was shut down months ago, Unearthed found ripped-open recycling bags from UK local authorities discarded among a huge pile of plastic bags, alongside yet more food packaging from the UK and across Europe. Residents in the area have complained that fumes from recycling factories operating without the correct permits have kept them awake at night and left them concerned about the effect on their health. In nearby Klang, home to Malaysia’s largest port and the entry point for most imports, Greenpeace investigators found sacks of discarded European and British plastics in a largely abandoned industrial complex, where piles of rubbish are routinely dumped and burned by the roadside, billowing acrid clouds of smoke. 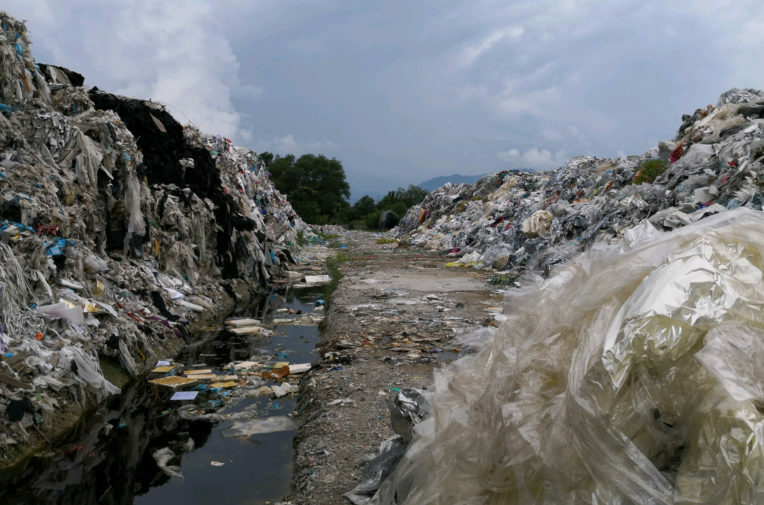 And in Ipoh, about 140 miles to the north, Greenpeace investigators found Tescos carrier bags and packaging for McCain’s oven chips, Yazoo yoghurt drink, and Heinz baked beans, alongside Australian household plastics and factory offcuts piled 20ft high. Milk bottles and shreds of bags floated in stagnant pools of water at the feet of the piles. Satellite imagery shows the dump has mushroomed in the past year. Exporting waste that cannot be recycled is illegal in all but a few circumstances. However, exports of plastic packaging for recycling receive subsidies – currently £60 a tonne – under the “Packaging Export Recovery Note” (Pern) system. The UK exports around twice as much plastic packaging for recycling as it processes domestically – mostly to Asia. For years, most of this material went to China. But since China banned these imports at the start of 2018 – citing fears of contamination and pollution – Malaysia has become the world’s top destination for plastic for recycling. Between January and August 2018, the UK exported over 88,000 tonnes of plastic scrap to Malaysia – more than a quarter of the UK’s total plastic scrap exports. Over the same period, the country has been inundated with plastic scrap from around the world: in the first six months of this year, Malaysia received over 150,000 tonnes from the US. The sudden influx of material has put the Malaysian recycling system under huge strain, and the country has now announced restrictions on plastics imports. Under EU rules, materials can only be exported for recycling if they will be handled under environmental conditions that are broadly equivalent to those in Europe. But Unearthed found multiple sites where household plastics bundled for recycling were being stored outdoors in tropical conditions that local industry experts say render them largely unrecyclable. You [developed countries] have so-called high recycling rates; as citizens do you know where your plastic waste and pollution ends up? 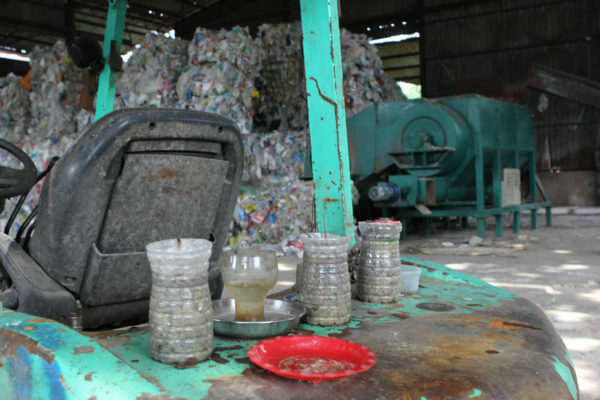 Seah Kian Hoe, a second-generation recycler whose family runs the recycling firm Heng Hiap Industries, told Unearthed that some imported plastic scrap, such as material directly from factories, tended to be clean, well-sorted and highly recyclable. But where materials were poorly sorted, kept outside and exposed to sunlight, soil microbes, and water, recovery rates could be as low as 30-40%. Bales of mixed household plastics, such as many of the imports seen by Unearthed, can contain a high proportion of hard-to-recycle materials. Dr LC Theng, an independent waste consultant, told Unearthed: “In general, mixed waste will never be more than 60% [recyclable]”, meaning that about 40% would end up discarded into landfill – or illegal dumps. Above: recycling sacks from Hammersmith and Fulham, Royal Borough of Kensington and Chelsea, and Castlepoint local councils. Photo: Unearthed. Below: A shrine in the closed-down recycling facility where the sacks were found. Photo: Jules Rahman Ong. Despite these complications, British exporters receive subsidies for the full volume of recyclate they export, regardless of how much has to be discarded when it reaches its destination. The National Audit Office (NAO) recently warned this system was ripe for fraud, and that there was little oversight of where UK exports end up. “We are concerned that the [Environment Agency] does not have strong enough controls to prevent the system subsidising exports of contaminated or poor-quality material,” the NAO’s report noted. Dr Theng said: “You [developed countries] have so-called high recycling rates; as citizens do you know where your plastic waste and pollution ends up? It’s in other people’s countries, affecting other people’s children. Your recycling rate is nothing to be proud of,” he said. Local activists in Jenjarom have complained that illegal plastics recycling facilities have sprung up surrounding their town over the past 18 months. They say they first became aware of the issue earlier this year after residents complained of strong, acrid smells at night, which they discovered came from recycling companies melting plastics in many of the open-sided corrugated-iron factories in and around the town. Tay said he worried about the effects of the fumes on his health. The group set about investigating the factories, filming plumes of smoke billowing from the buildings and using drones to track down illegal dump sites concealed in palm oil plantations. They eventually counted 54 recycling facilities in a 3km radius of their town, of which they said just 13 had the correct licences. In a small community, bringing this kind of attention to local operators is not without risk. 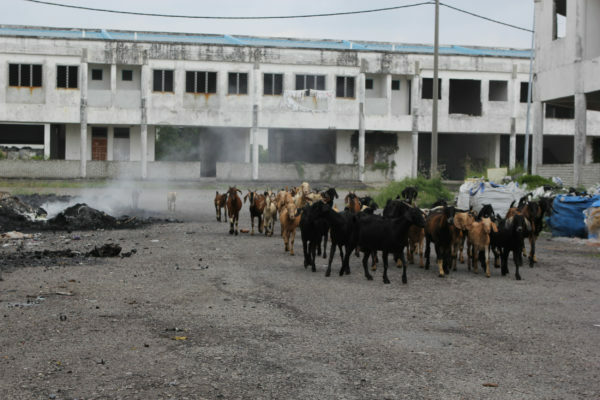 In nearby Klang, local activists say they have been threatened and chased out of industrial districts. In Jenjarom, several people Unearthed spoke to asked not to be identified, for fear of reprisals. “They’re very angry we’re poking around… you might get someone to beat you up,” said Tay. 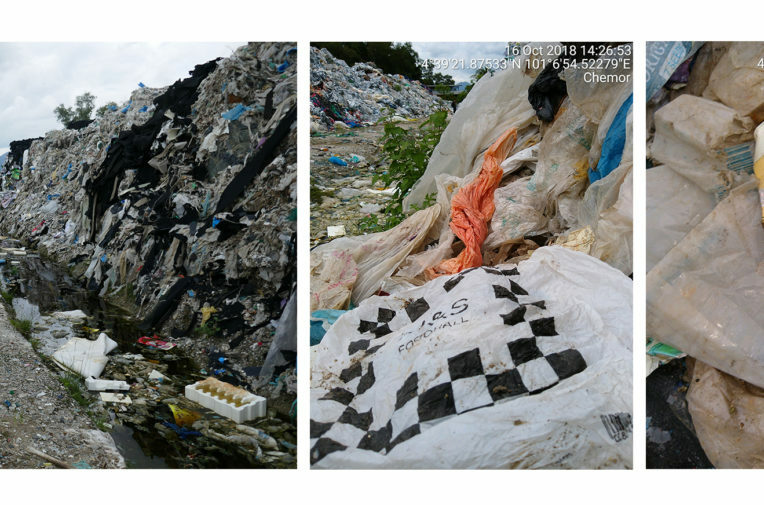 Household plastic waste from the UK found at a dump site in Ipoh. Photo: Unearthed. After a new government was elected in May, the group brought their plight to the new administration, which has announced restrictions on imports of plastic for recycling. 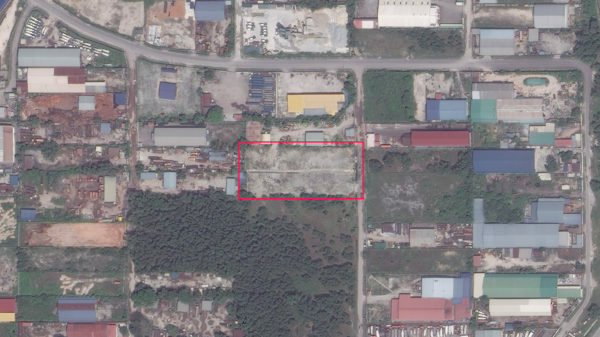 In early October most of the illegal factories surrounding Jenjarom were closed in high-profile raids. But Tay suspects some operators have simply relocated. “We saw the lorries carrying away the machinery. We don’t know where they go. So they close down here, they go to another area where it’s less strict,” he said. The environment ministry did not respond to questions from Unearthed, but minister Yeo Bee Yin said in a press conference last week that imports would be tightened further, and the crackdown on illegal operators would continue. “Enforcement and monitoring operations will be continued to ensure illegal factories do not continue their operations,” she said. 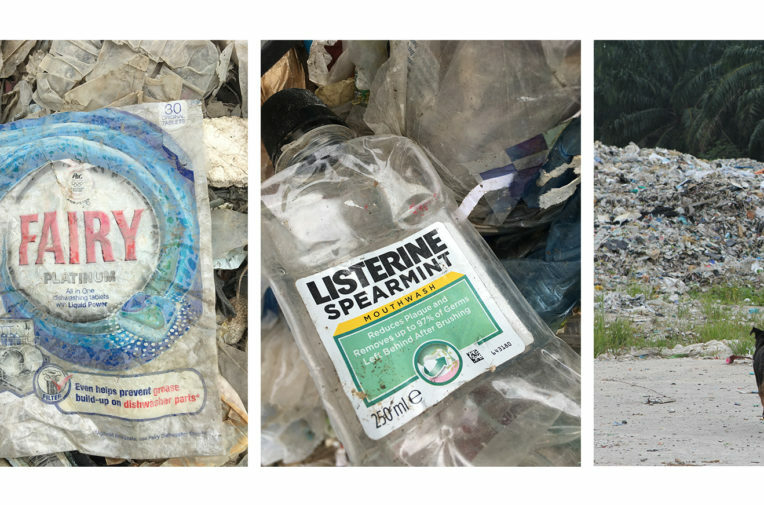 There are few clues as to where most of the British household plastics Unearthed found in Malaysia may have come from – although on one site, we did find local authority recycling bags that had been ripped open, probably at a UK sorting facility. The bags had the logos of three councils in London (Kensington and Chelsea, Hammersmith and Fulham, and Tower Hamlets) as well as local authorities in Essex (Castle Point and Basildon). We also found a magazine wrapper addressed to a resident of Northallerton, which falls within Hambleton council. However, recycling supply chains are complicated: materials are often collected and sorted by contractors before being sold on to third parties. All the local authorities said their contractors handled recycling materials in line with EU laws, but only one – Basildon – acknowledged that its recycling bags had been exported to Malaysia for a while earlier this year. Several councils pointed out to Unearthed that the bags are handed out free to hundreds of thousands of residents, and so could have been deposited in recycling bins in some other local authority and exported to Malaysia from there. But between January and August, overall exports to non-EU countries were just 11% lower than the same period of 2017. The government has recently announced a proposed ban on plastic straws and cotton buds. But the ban would not have prevented any of the waste we found from reaching Malaysia. Sue Hayman, Labour’s shadow environment spokeswoman, called for reform of the system. “Shipping tonnes of UK plastic out of sight and out of mind to end up in our oceans and in landfill is nothing short of a scandal,” she told Unearthed. “Britain’s waste and recycling system is broken and needs systemic change rather than a piecemeal, consumer-led focus on specific materials,” she added. A Defra spokeswoman said: “We are committed to reducing the amount of waste we produce, and recycling more at home. While there has been a significant increase in recycling over the last 10 years, there is more that needs to be done and we will set out proposals in our forthcoming Waste and Resources Strategy.